As a part of their student trip, MBA students from Yale University paid a visit to Bosnalijek JSC on 14 March 2018. This is the second year in a row that such a visit to Bosnia and Herzegovina and the surrounding region has been organised. After Sarajevo, the postgraduate students will visit Belgrade and Zagreb. Ivana Katić, Assistant Professor of Organisational Behaviour at Yale University, thanked Bosnalijek for its hospitality. During the corporate presentation, the MBA students asked numerous questions. They were particularly interested in the company, its work method and its business operations as well as the manner in which new therapies are developed and introduced and the means of launching products in the markets. Accordingly, we discussed our development plans and the sale of Bosnalijek products both worldwide and in Bosnia and Herzegovina. Mr Turajlić stated that Bosnalijek cooperates with many academic institutions in BiH and abroad. He stressed that Bosnalijek’s doors are always open to visitors and practitioners and that the company has a long tradition of enabling the preparation of diploma papers and master’s and post-graduate thesis and that this tradition will continue to be upheld and cherished in the future. 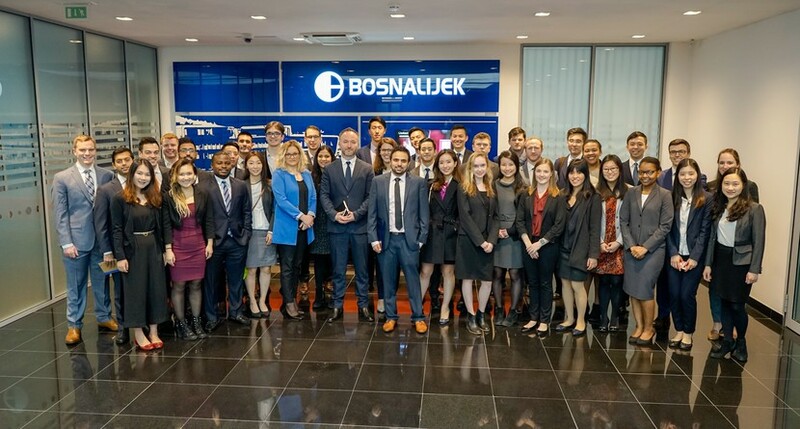 The MBA students said that the lecture was very useful and that they were pleasantly surprised by the fact that Bosnalijek has 67 per cent female employees, which is not so common in the United States of America.